“It,” the most recent Stephen King adaptation, is heavy with heart and intensity. The film follows a group of kids who band together when a shapeshifting demon, taking the appearance of a clown, begins hunting children. 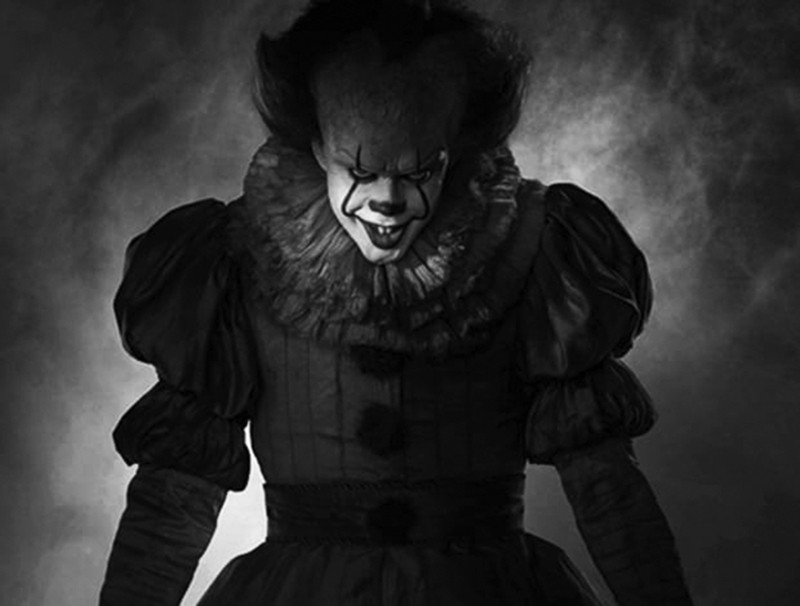 Terrifyingly played by Bill Skarsgård, Pennywise, The Dancing Clown, takes many forms in his pursuit to feast on the flesh of the children in the fictional town Derry, Maine. It is in these different forms that the kids face their deepest fears. While each young actor performs well, Jeremy Ray Taylor stands out as Ben, “the new kid in town,” who also happens to have a secret liking for the band New Kids on the Block. He is vulnerable, likeable, charming and strong. With the main characters exploring the outskirts of their town, going to and fro via bike and car rides with parents, it is a time where life is simple and full of wonder, but made extremely difficult due to outlying circumstances. Being forced to deal with such “adult” themes as death, the kids are armed with full-hearted loyalty to go against the sinister circus clown. Stylishly shot, some sequences – be they heartwarming or heartbreaking – moved me to tears. There were times I laughed and times when my body froze, awaiting the next move from the devilish jester. Riding the coattails of “Stranger Things,” “It” remains original, aggressive and extremely satisfying, a movie that demands to be seen on the big screen.